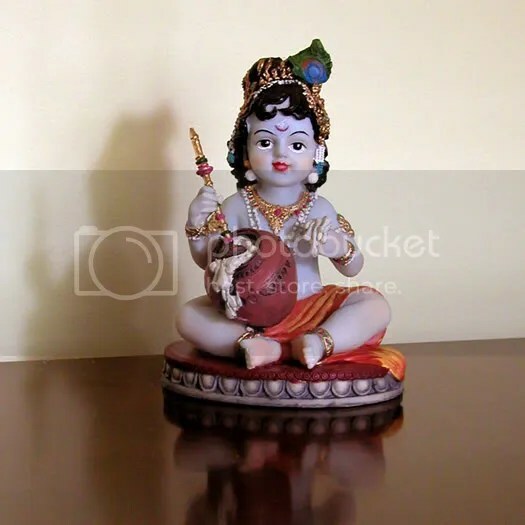 Here is a baby Krishna statuette I was gifted received during a recent visit to the Balaji Temple in Chicago. I was pleasantly surprised at the fine detail and the vibrant colors in this piece. It is made of a polymer (thus very light) and Made in China (of course).